I just love this color combination! So boho chic! 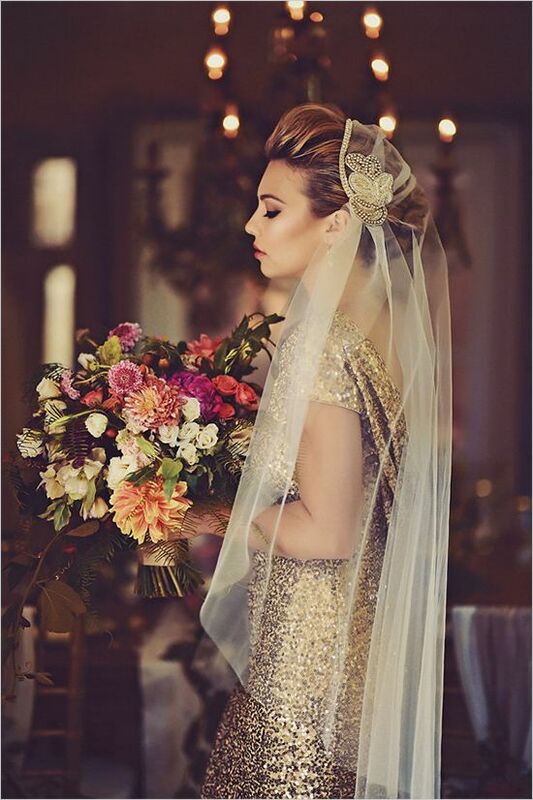 All brides dream of a unique wedding and a look that's bound to remain unforgettable. Don't worry, for the people who love you, seeing you a bride remains forever in their memory as a cherished moment. 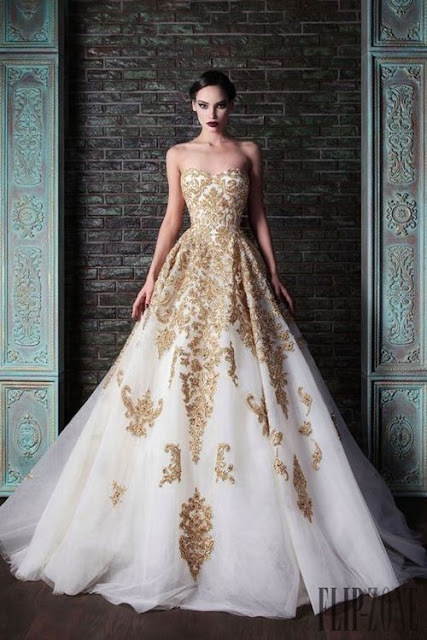 But, let's face it, that's not enough and with all the pressure the industry puts on future brides, having a unique wedding is the new rule of thumb. 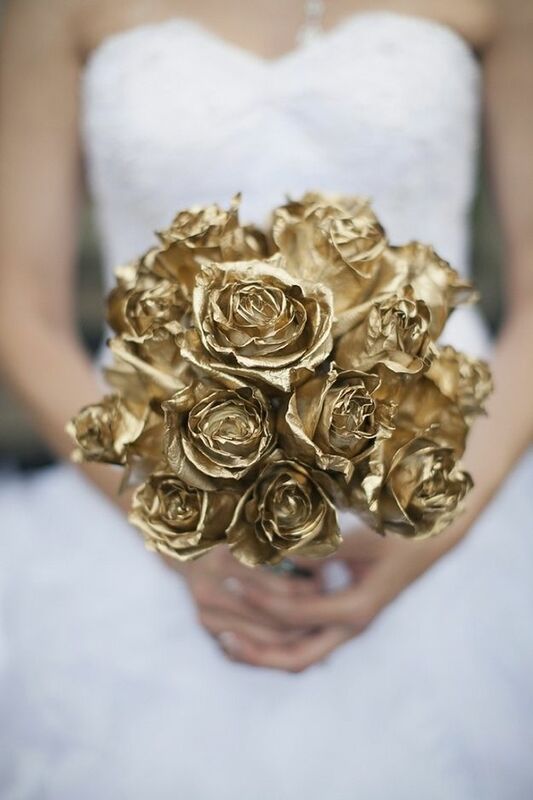 For the bride that doesn't do conventional and traditional, golden accents make for a gorgeous touch. 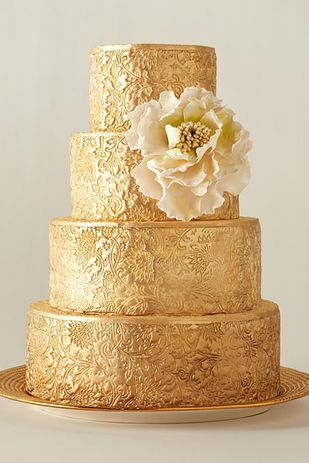 From wedding dress to cake and boutonnieres, these golden details will make your wedding super glamorous. How beautiful is this? Luxury all the way! 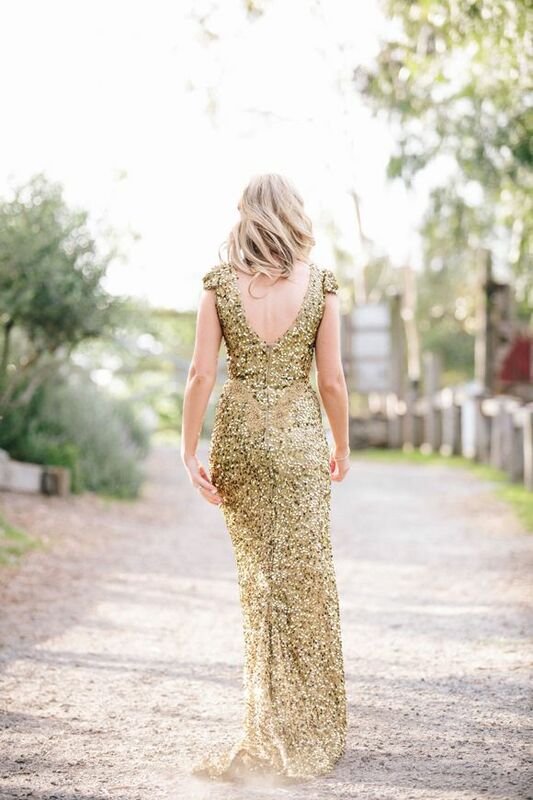 How about this fabulous sequined gown for your pre-wedding photo shot? I'd say engagement perfection! 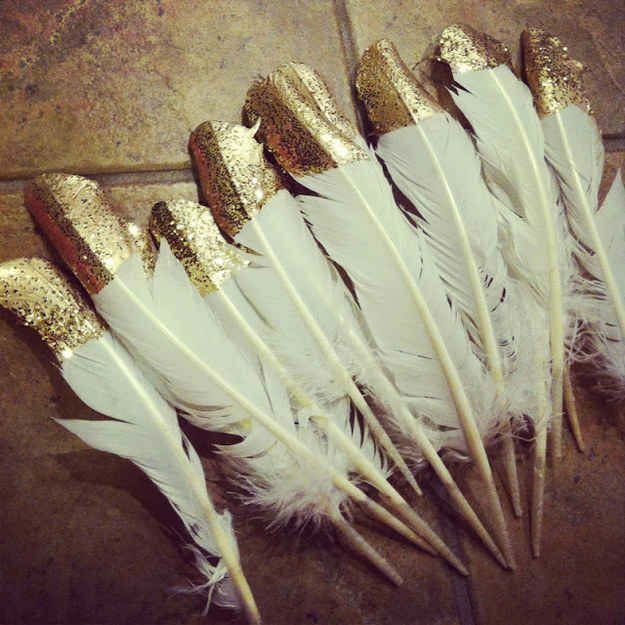 I would give these as wedding favors. They look fabulous! 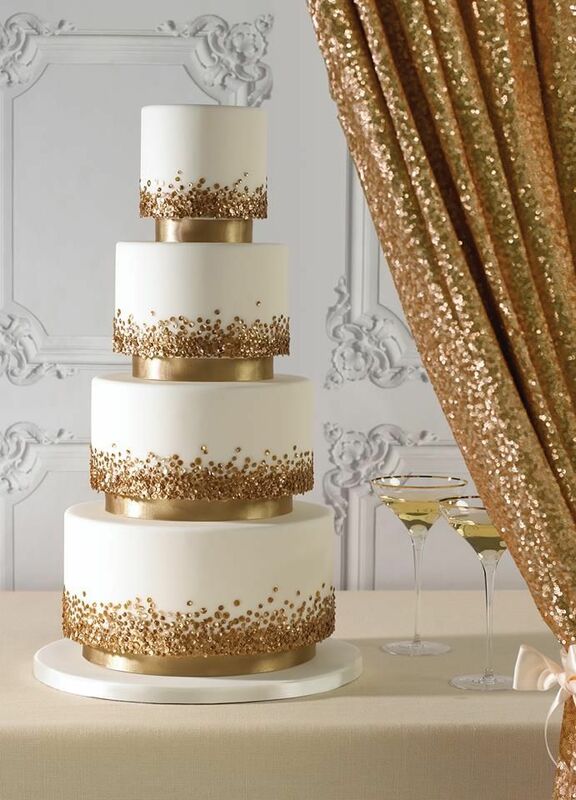 This tiered cake looks amazing and it is definitely going to steal the spotlight! 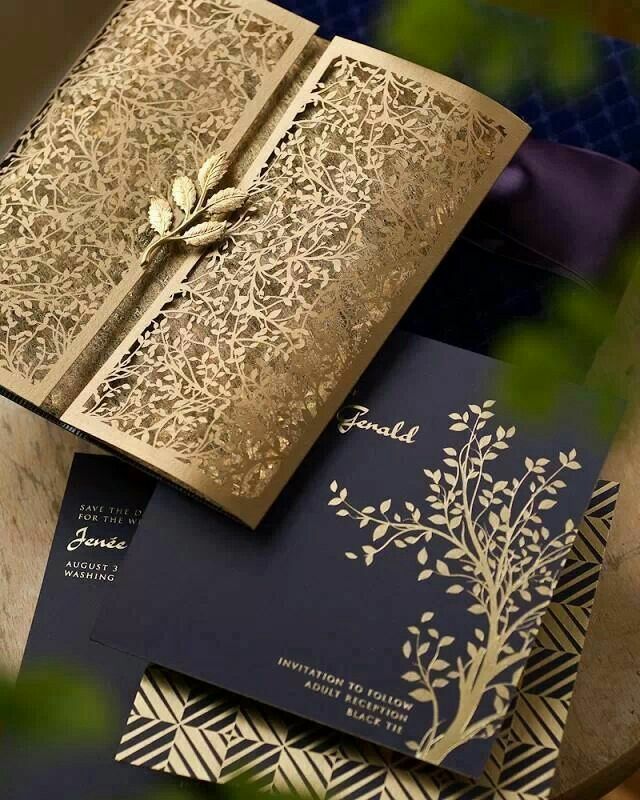 I just love the cutout details on the invitation above. Golden and dark blue for a perfectly elegant occasion. 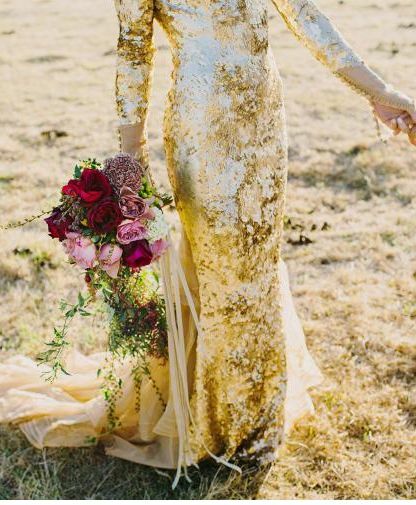 Who says golden can't look gorgeous on your wedding gown? This dress is fabulous! Your bridesmaids are going to love their sequined evening gowns. Keep it simple though, sequins are glamorous enough! 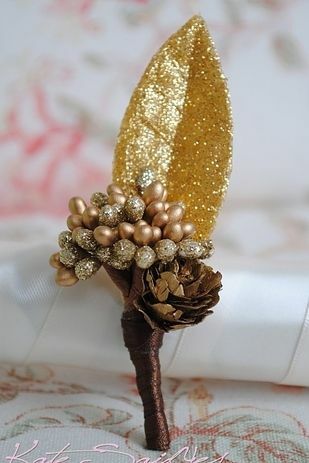 This wedding boutonniere is perfect for a winter wedding. 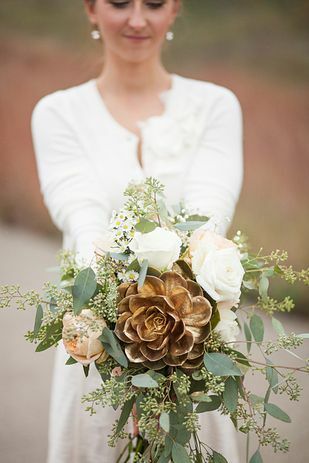 Loving the simplicity & glamour!